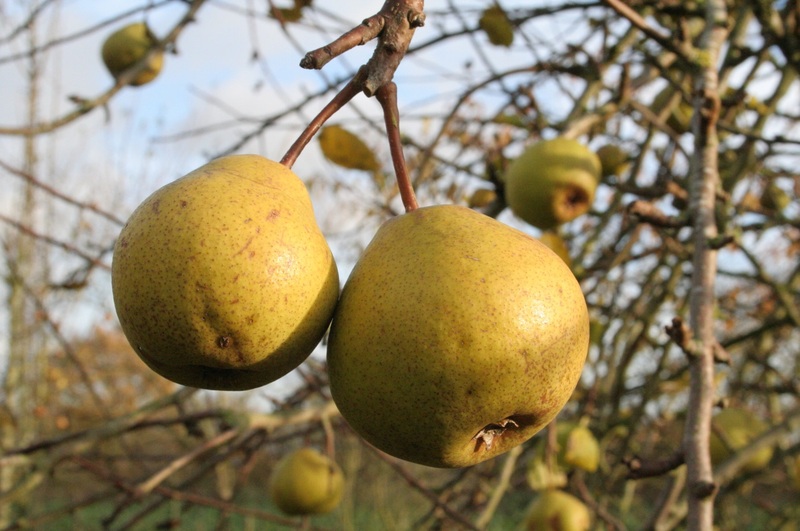 The subject of voles and the damage that they can cause to fruit trees and bushes has arisen from time to time on the blog. 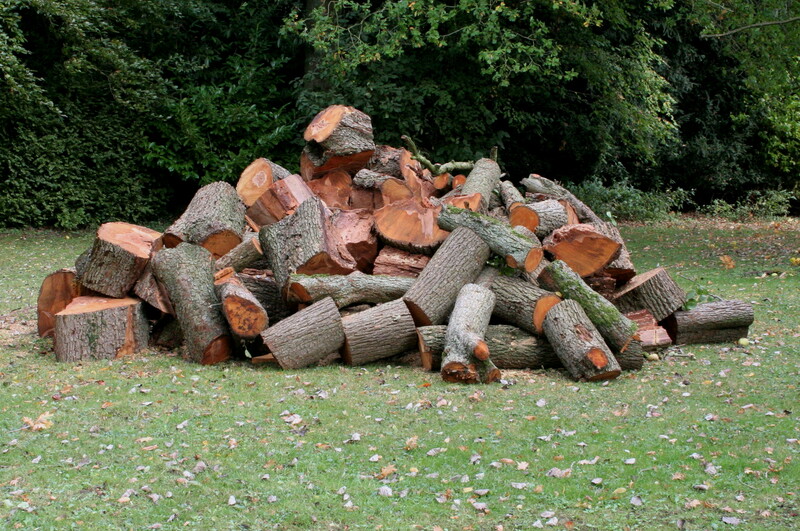 Voles will gnaw away at the roots and can kill a tree. 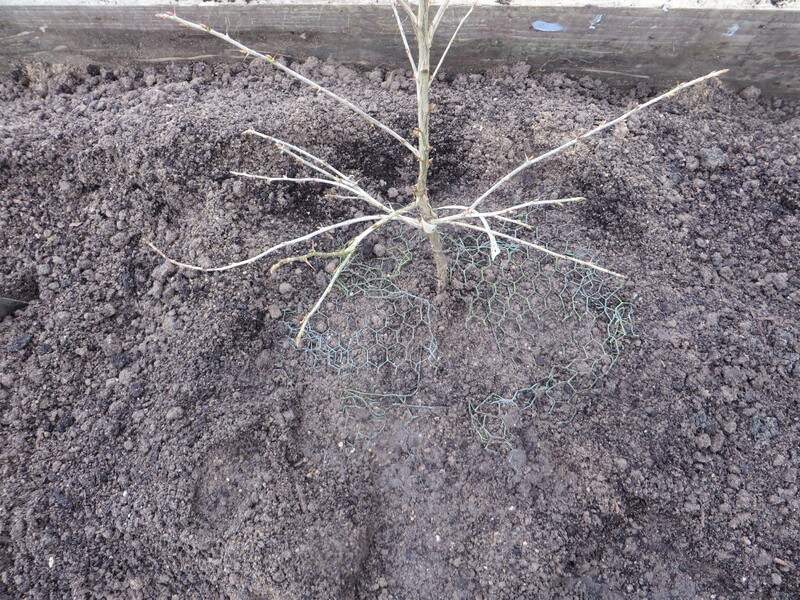 I recently planted some gooseberries and not wanting to have problems with moles and voles I planted them in chicken wire baskets to deter both. Where moles go voles and mice are sure to follow; they all use the same tunnels. During the winter I trapped seven voles and two mice using a mole run in the greenhouse; the strawberries were disappearing just as they were nearly ripe. Has anyone else had problems with voles this year? 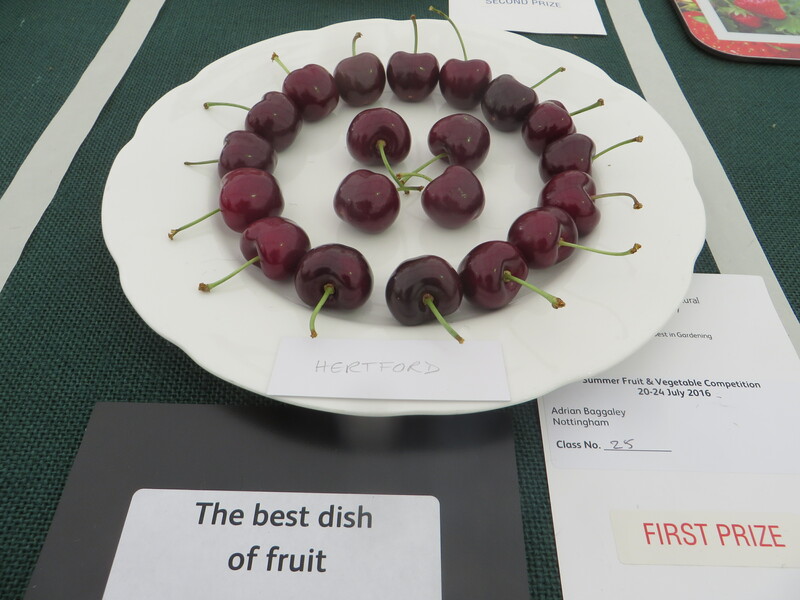 For the first time, cherries captured the ‘Best in Show’ prize for Adrian Baggaley; he also took many other prizes at the recent Royal Horticultural Society Tatton Park Show and gained a total of 16 firsts. Congratulation Adrian! That exhibitors managed to stage cherries at all is remarkable in a year that has been difficult for English market growers, who are experiencing a poor harvest, at least in Kent. 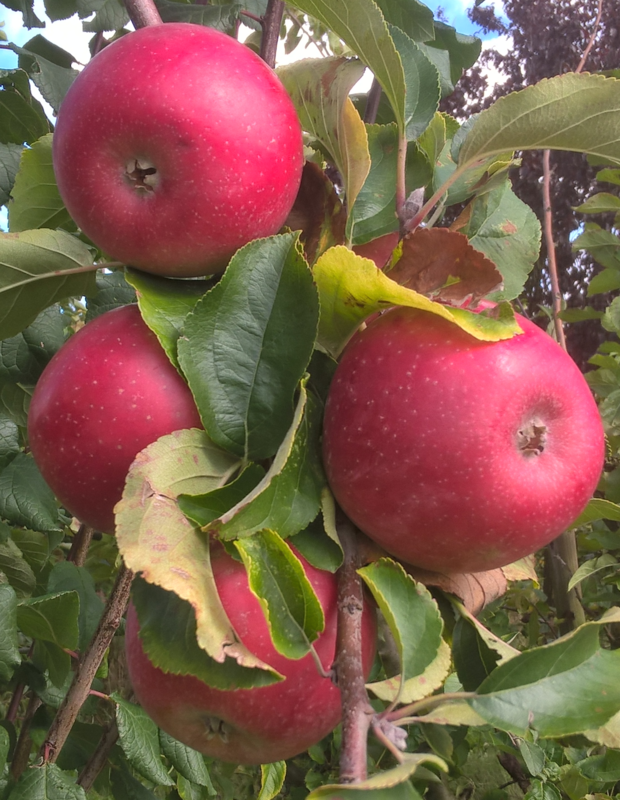 Rain and low temperatures, with one very cold night, at blossom time gave a poor fruit set and hence a low yield. 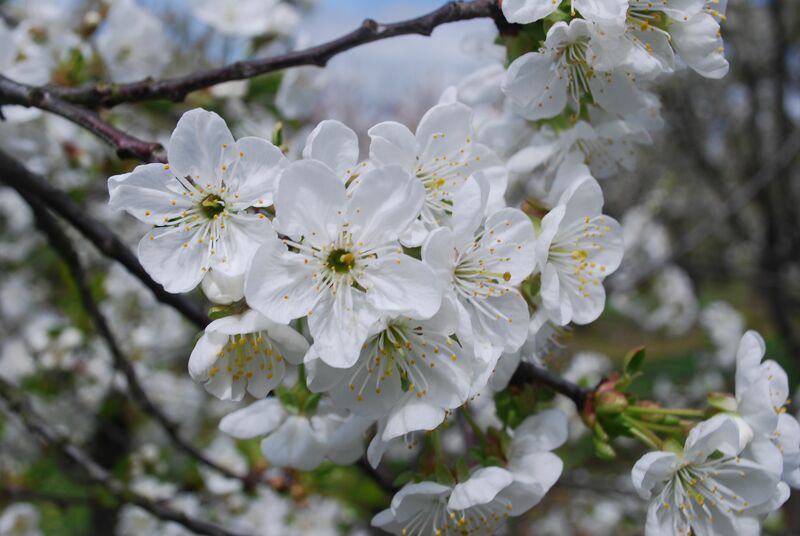 The prize winning, large and perfectly matching Hertford cherries were grown in Nottinghamshire, not a county where market cherries are grown and where Adrian says a north easterly wind has been blowing since February. 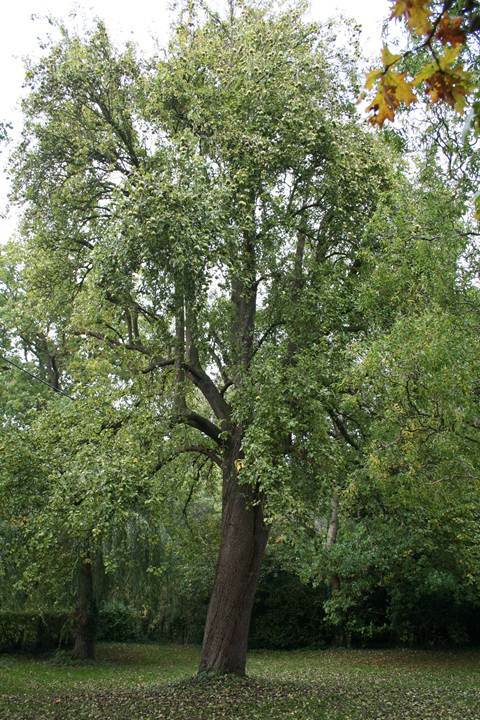 Only recently has there been some respite from its chilly effects. 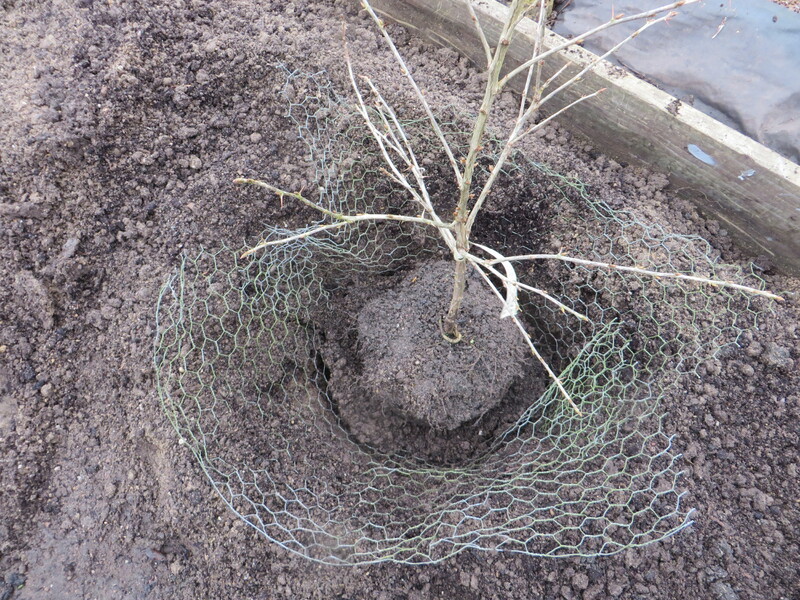 He grows his Hertford cherries under permanent protection in a huge ‘box’ with a polythene cover across the top and fine mesh on the sides to keep off rain and birds. 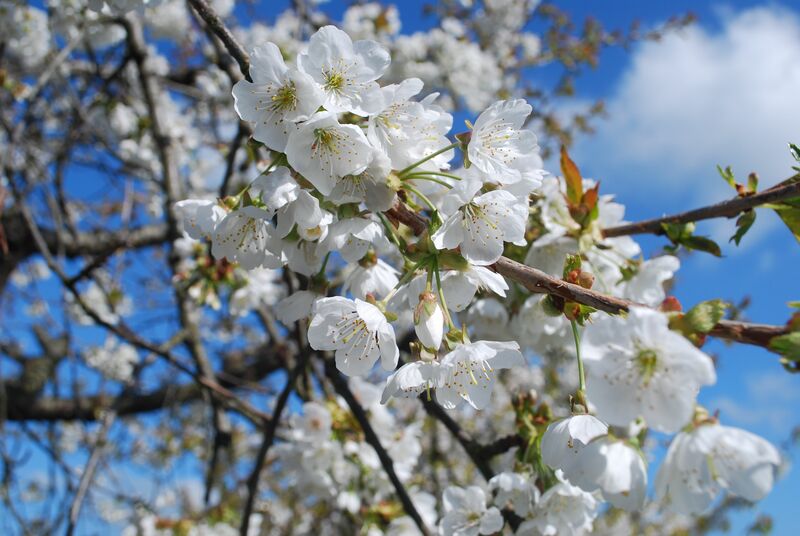 This covering at blossom time, he believes, ensured his good crop of cherries. Commercial fruit growers producing cherries in covered tunnels tend to put on the covers after blossom time. 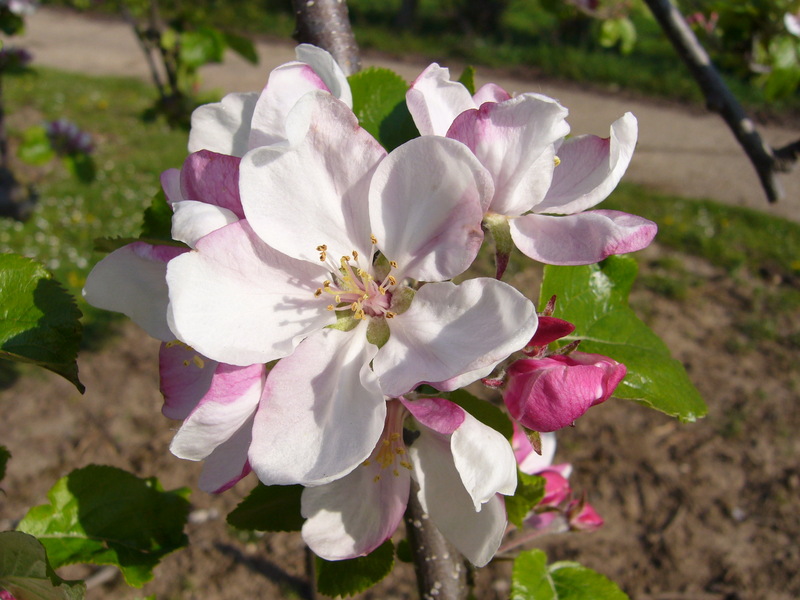 In their set-up, if these are erected before the flowers appear, a sunny day can send the temperatures soaring and there is the danger that it can get too high for effective pollination.